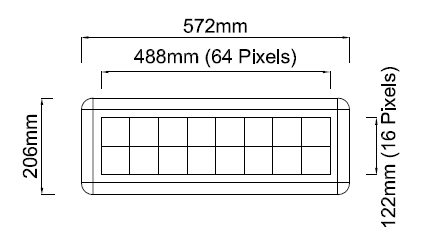 DynamicVision series is essentially a range of small to medium size LED electronic display board used as public information displays. Although we have four off the shelf models in the series, we also entertain requests for customized displays. The LED display boards are normally installed at public area, eg, corporate receptions, service counters, hotel lobbies, bus terminals, airport arrival/departure halls, railway stations, factory production areas, etc. The display design facilitates both wall mount and hanging from ceiling. 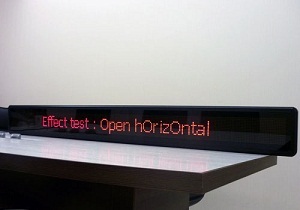 This LED display can display both text and graphic messages. The display colour is red, green and amber colours. The luminance intensity of LEDs is moderate for indoor viewing only. 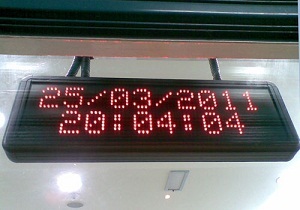 Information show on the LED display is input via computer. 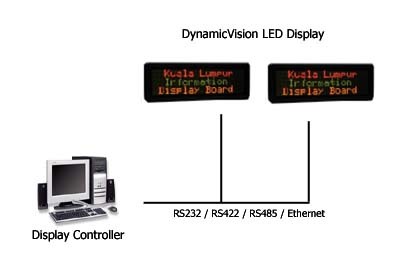 Window-based display control software is used to enter and transmit the message to the LED display via the computer serial communication port.